These are our chihuahuas Daisy and Lily. 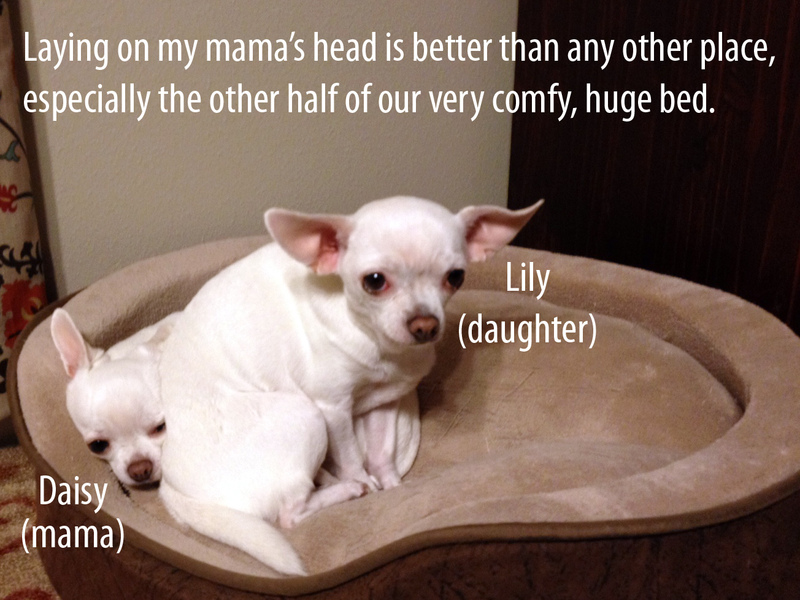 Lily thinks her mama, Daisy, makes a great pillow, so she sits on her – usually on her head – every day. Daisy doesn’t mind the snuggles and Lily is not sorry at all, even though she looks mildly ashamed. PS: We adopted these lovely girls from a local shelter three years ago and they bring so much joy to our lives. I hope Adoptable Fridays helps more shelter and foster dogs find good homes! Posted February 23rd, 2013 . That is dominance. One of my Chi’s does that too. I keep trying to train her to stop it. Both f my girls are rescues. One is pure white lie your girls. Lots of joy! It’s adorable and it looks like she is seeking comfort and affection to me. Thanks for rescuing. This is so cute, but the fact that they’re mama and daughter make it even better. I’m glad they were adopted together. Hiya from Australia. We have 2 Chis we FOSTERED from a rescue. 5 years ago, obviously the foster thing became an adoption. I’m amazed at what beautiful, gentle and living boys they are, nothing like the bd press chihuahuas normally get. 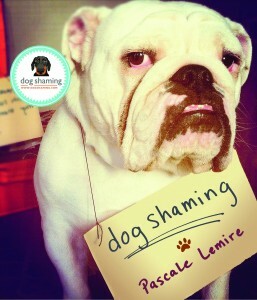 Glad everyone’s enjoying our girls’ shaming. I’m their human mama. @Kat, Daisy is definitely the dominant dog. Lily just likes to snuggle and Daisy actually prefers to be squished at all times. Ha!